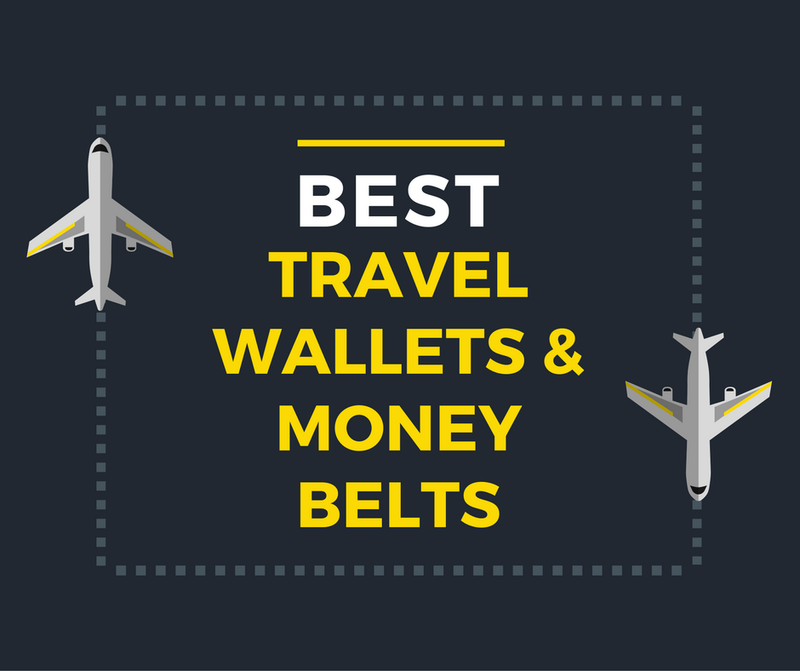 Looking for the best travel money belt to help keep your valuable safe while you travel? If you’ve ever traveled internationally you know that one thing that comes to mind is how to keep your valuables safe. Whether you’re exploring European cities, such as Rome or Barcelona, or making a 3 month journey across South America, you’ll want to have a system to both easily transport and safely access you valuables. I’ve found that after multiple 3-6 month trips across the globe it pays off to keep a system where you place all your important valuables and travel documents in the exact same place. This way you always know where to find them and you can keep them on you at all times. 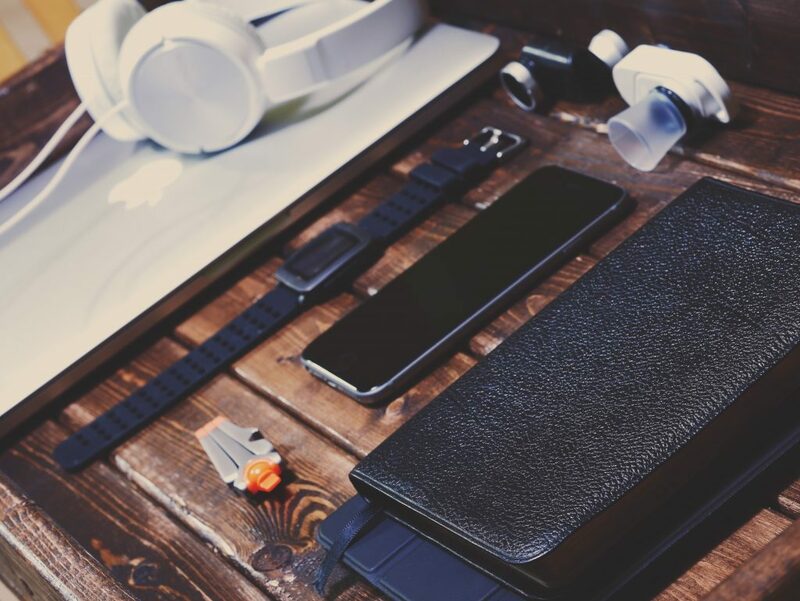 This post will help you devise a system that works best for you and I’ve suggested a variety or travel wallets and belts that can help keep you organized during your travels. 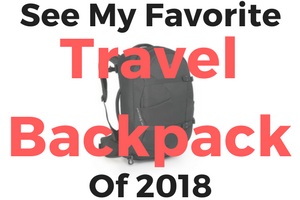 I’ve used many different products over the years and depending on where I’m going I may prefer to use one over the other, especially if for some reason I know I’ll be carrying a lot of currency with me during my travels. What’s The Best Way To Keep Your Money & Passport Safe While Traveling? Even though they’re just giving you the standard advice, it’s true that travelers are commonly targeted by locals looking to pick-pocket or even worse, an armed holdup asking you to hand all your money over. You don’t want to be naive about the dangers of traveling, but rather think ahead and find ways to avoid being a victim. Aside from your money, you absolutely want to keep your passport secure at all times as there’s nothing worse than trying to arrange a replacement passport in a foreign country. This is where the idea of a money belt came about—surprisingly first being patented way back in 1945! Many different variations of the money belt have since come onto the scene and in addition the popular travel wallets. Some great designs also come across as regular looking belts but feature hidden compartments for stashing your cash and coins. The traditional money belt is often worn underneath your clothing, strapped to your torso by a stretchy clip belt and is well hidden. Options also include straps that hang around your neck with the wallet again worn under your shirt or clipped onto your belt and worn under your pants. It’s great to have your main wad of cash hidden in the belt then a small amount in a separate wallet for use along the way as needed. You never want to be caught shopping in a foreign country flashing all your wads of money around as you’re making yourself a prime target for theft. Travel wallets on the other hand are wallets that are designed to keep all of your important documents, cards, itineraries and passports in one place. The idea is to save you shuffling through your bags frantically searching for documents and rather having everything organized in its place. 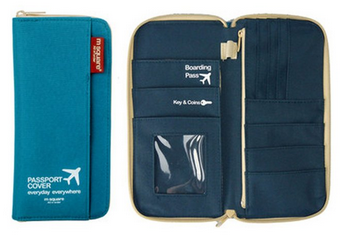 Travel wallets also feature hidden compartments for items you don’t wish to flash around to the open eye. What’s Better: Travel Wallet Or Money Belt? Both travel wallets and money belts have their advantages and disadvantages and in some cases a combination of the two is the best option. Travel wallets can be great for families or friends that are traveling together—as one person can keep one travel wallet for all of the group’s passports and important documents. It makes checking in for your flight a much smoother transition rather than attempting to find all separate passports at one time. They are also great for those that love to be extremely organized and have everything in it’s place when traveling. One stand out feature of many travel wallets these days is the inbuilt RFID blocks. Although I’ve never been overly concerned about this, it’s possible that potential fraudsters are able to walk around with RFID readers that allow them to remotely take information from your credit cards and passport several feet away without you even realizing. Travel wallets that feature these inbuilt blocks are a rapidly expanding multi-million dollar industry, which is not surprising given where technology and electronic fraud is heading. Money belts can be a lot more secure and allow you to stash away money that you don’t need to access it until your destination or until you’re in the safety of your hotel room. It all depends on how you like to access your money and the type of traveling you are doing. There are countless destinations where it’s not overly safe to have your money stashed in your luggage—over anywhere for that matter. That’s why I love some of the belts that look and function as a regular belt, but hide money with an inside zipper pocket. If you plan to travel with a large amount of cash this can be a great way to carry it and you’ll always know where it is and can’t misplace it if it’s on you! Money belts are great for those traveling to developing countries where money is hard to come by or countries that have a known reputation for pick-pocketers. Also for those countries where the black market for passports is a big problem! Are you are traveler that loves to have your hands free? Or maybe you don’t mind carrying around a travel wallet that you know has everything you need in it “at hand”? When it comes to choosing the right size travel wallet or belt you want it to be big enough to have all the items you regularly use when on the go, but not so big that it spoils the whole idea of “convenience”. In particular with money belts you don’t want its shape protruding through your clothes because of its bulkiness. The best travel money belt will be easy to keep discrete. 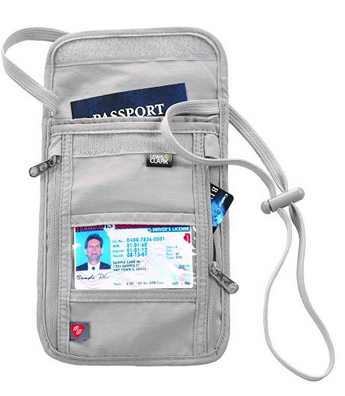 If you’re opting for the hand-held travel wallets: How concerned are you about identity theft? Are you traveling to a place where there is high occurrence of fraudsters stealing personal information using RFID technology? Also would you want a rip-stop material to add extra life to your travel wallet or money bag? What about slash proof to prevent your wallet being cut open? Again it all depends on your destination. If you’re a woman that likes to wear dresses when traveling then you probably wouldn’t choose a money belt that is worn around your waist, as it wouldn’t be appropriate to access your cash in public without flashing all of those around you! Functionality comes hand-in-hand with practicality. How often do you need to access your money and/or passport and what is your personal preference where you would wear a concealed bag that suits your clothing attire? Some travelers like to carry around a lot of small items whereas others like to keep it simple. When preparing to travel, put all of your items (credit cards, membership cards, passport, etc) aside that you would want to have readily available when passing through the airport for example, then consider how many compartments you would need to fit all of those items. Do you prefer a fold-out travel wallet where all items are conveniently displayed before you, or are you happy with the more traditional stacked wallet design? This all depends if you will be traveling into the unpredictable moods of mother nature or mostly staying indoors. 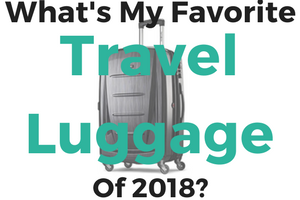 Also how often do you travel? You probably wouldn’t want to spend large on a travel wallet or money bag that is going to sit inside a box under your bed for most of its life. Keep your eyes out for rip-stop nylon or waterproof bags and wallets if you’re planning on taking rougher forms of transport or trekking outdoors. Available in four colors, the SanHoo travel wallet is appealing to the eye and presents quality at an affordable cost. It’s great to be able to buy a travel wallet for under $14 that features the RFID block. It is lightweight and waterproof for peace of mind! It also features zip closure and mesh pockets on both sides, allowing you to stash coins or keys as needed. It’s probably not for those traveling to third world countries given the attention-grabbing bright designs, unless you opt for the plain black color. This travel wallet is well laid out and features three compartments, one of which being a side pouch designed to fit your passport. The Top and bottom compartments are great for storing credit cards and cash. The Shacke Hidden travel belt clips onto your belt and can easily be tucked away in the top of your pants. It’s a great alternative to those that find travel belts worn around the torso to be uncomfortable. The feather soft backing prevents any chaffing from uncomfortable designs, which is great for those that need to keep their travel wallet strapped on them for long periods of time which is often the case. Also check out the Lewis N. Clark Rfid Travel Wallet which is a slimmer and simplified design of this type of safety wallet. Designed for the more business orientated or tech-savvy travelers, the Knomad Organizer allows you to safely store any 8″ tablet or smartphone. Being 50% leather this travel wallet is ultra-durable and will last for many years to come. The design is simple, yet sleek and features antique brass hardware and slim size. Inside, the strap feature allows you to strap in your chargers and phone and a separate compartment for credit cards and a pen. 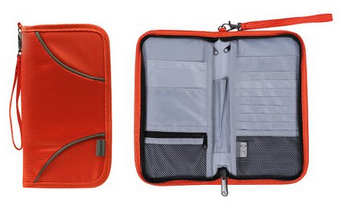 You can also stash your documents and passport in the large compartment with your tablet. Available in blue or black, the Pacsafe travel wallet is very durable and suited for those that frequently travel and is in the mid price range. The inbuilt RFID technology is award winning and blocks any kind of electronic transmission, allowing you to travel knowing all of your credit cards and passports are safe from fraud. 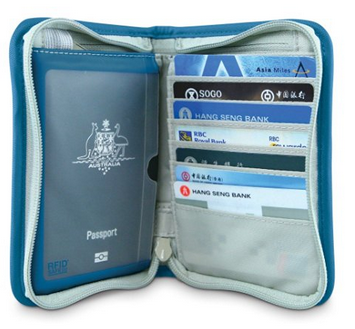 It features seven pockets for your credit cards which is one of the biggest ranges available in travel wallets. 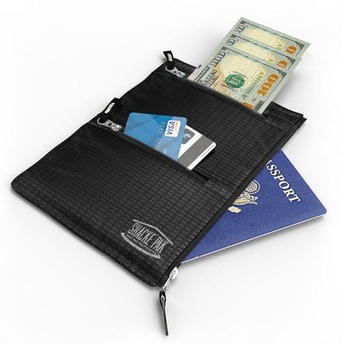 There are separate cash compartments and a transparent passport pocket. This travel wallet features slip-in pockets much like a traditional every-day wallet which makes it a standout for style and convenience. 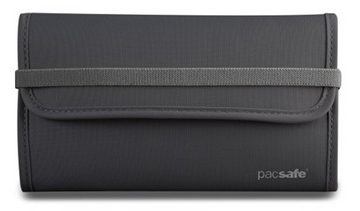 The Pacsafe Tec 250 wallet has 8 credit card slots, a passport slot, 2 cash slots and outer coin pocket. The inbuilt RFID blocks frequencies to prevent fraud and is great when traveling through known identify theft countries. Pacsafe was designed by two well traveled Australians and is compact and lightweight. The M Square Travel Passport Wallet is a slim design which is easy to carry around in your hand or if preferred to use the wrist strap. It’s another great option for regular travelers given its durability. The colors available are all fairly bright and will stand out in a crowd, therefore you might want to consider another brand if you want to be a bit more stealth with your travel wallet! The multi-pocket set up is well thought out and allows you to easily organize documents and credit cards. The side zip is great for stashing loose change. A more traditional wallet that can be securely worn around your neck, this travel wallet is aimed at those that like to explore off the beaten trail. It features a Traveldry fabric which allows moisture to bead off the material and in turn prevents odors, bacteria and mildew from forming. The ripstop nylon is also a great addition to increase durability and life-span. Again the popular RFID blocker is built in to prevent fraud. 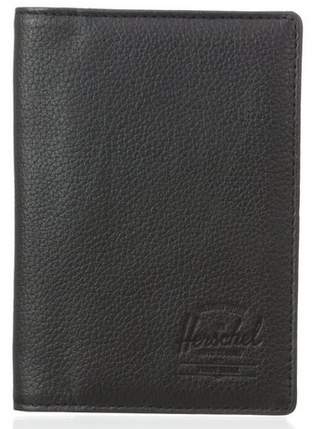 Sitting at the upper end of the price scale when it comes to travel wallets, Herschel Supply Co. has bought out this appealing passport holder for those that love to travel in style. 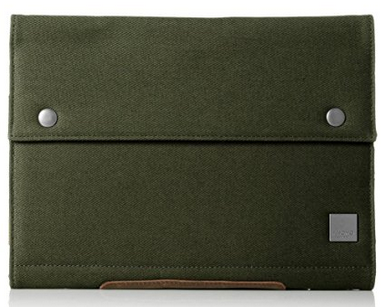 It only features three additional credit card slots and an extra slide pocket for cash or documents. It’s designed to mostly hold and protect your passport with a bit of room for extra storage on the side for added functionality. 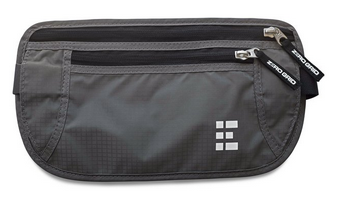 This travel money belt offers a massive amount of storage space including enough room to stash your phone. You can be sure of durability and repeated use of this money belt as it comes with a lifetime guarantee! A popular choice with backpackers given its concealed design, fitting snug around your waist with adjustable straps. RFID blocking is also a great feature of this belt. If you’re on a six month overseas adventure then this is the belt for you. The designers at Eagle Creek have come up with the unique money belt which has a hidden compartment to stash cash and coins. They’ve even thought ahead and used a plastic buckle rather than a traditional metal buckle, for easy transition through customs. While it’s only a small compartment available, if you have your main wallet stolen then you can be rest assured that you have backup. It’s great to use in conjunction with other money bags worn around the torso or hand-held travel wallet. It’s great to see so many options available on the market place and the creativity in which frequent travelers come up with new and improved designs. The options for safe-keeping of your valuables while on the go seems almost endless. Once you’ve done your research on your destination and how many times you will need to access your cash or passport then you’re ready to choose from the vast array of the best travel money belts and travel wallets available. Also check out our guides to the best lightweight rain jacket, the best insulated water bottle and other recommended travel products here. Bonus: 40,000 miles after spending $3,000 in the first 90 days. -- 2X points per dollar spent on all purchases. 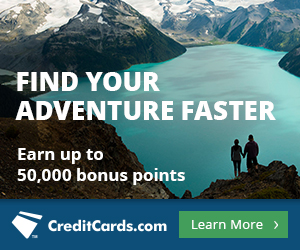 -- Get 5% of your miles back when you redeem your points, to use on your next redemption. -- Chip+PIN technology, which can be useful for international travel. -- No foreign transaction fees. Quick review: The Arrival Plus card is one of my favorite all-around 2X earning cards. 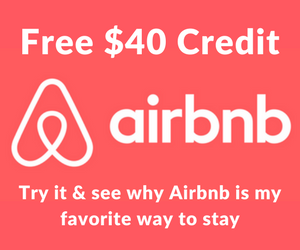 The 50,000 mile sign-up bonus is worth $525 in free travel and easy to redeem!